It’s hard to imagine that there was a time in my life where I didn’t play card games at all. It wasn’t until about five years ago, with the “Return to Ravnica” block of Magic: The Gathering, that I began to devote large shares of my time to trading card games and, soon after, online collectible card games. Now, they’re one of my major pastimes–of late, Hearthstone, Duelyst, and the Gwent beta. Blizzard’s Hearthstone becomes more its own beast every moment, both in developing beyond its roots as a mobile facsimile of Magic, and by shedding the constraints of its Warcraft origin. In the patch leading up to “Journey to Un’Goro,” the game’s ninth content update (this one’s got dinosaurs), the Heroes of Warcraft subtitle was dropped from Hearthstone’s promotional material and foyer screen. Not only does this change speak to the growing strength of Hearthstone’s independent brand, but also to developer Team 5’s changing focus. This is a trend within Hearthstone that began with last year’s One Night in Karazhan expansion. One Night recast the gloomy, haunted tower of Karazhan from World of Warcraft as party central, before its patriarch’s fall. While Hearthstone was prone to highlighting Warcraft’s silliest elements before One Night, it was arguably never the central theme. Hearthstone is no longer directly about the Heroes of Warcraft, but instead its own mutable themes and characters. A core complaint surrounding the release of Journey to Un’Goro is the new price of entry to build the game’s fresh decks. Mirroring its contemporary Magic’s annual standard formats, cards from a number of Hearthstone’s expansions prior to “Journey” have rotated out and been placed in the extended Wild format, including a selection of Hearthstone’s oldest, most powerful cards, once stated by Blizzard and Team 5 to be perennial. In exchange for these cards’ rotation, players were rewarded with an equal amount of card-crafting currency–intended to smooth the transition of creating new decks. However, this is balanced by the expensive introduction of Quest cards, a new card type designed for decks to be built around. Quests provide unique in-game rewards upon the completion of their individual requirements, and are costed at Legendary rarity. This means that several once-common deck types are now woefully underpowered or altogether unplayable without investing in these more expensive cards, spread across every class. Where in previous expansions the Legendary rarity was restricted to minion cards–a majority of which were interchangeable, value-based upgrades to regular decklists–Quest cards provide a unique and powerful reward, tailored for exactingly constructed decks. This has lead to many deck archetypes being comparatively underpowered, or altogether unplayable, without a keystone Quest. This style of design could be fine, in theory; Team 5 has demonstrated a consistent desire to push Hearthstone’s boundaries, and the implementation of Quest cards is no exception. However, in choosing to signpost intended deck archetypes with the expansion’s most expensive cards, Hearthstone effectively pushes players to invest in playing those archetypes or else lose. This is particularly evident in the Rogue class Quest, “The Caverns Below,” a combo enabler which, once its relatively uncomplicated and uninteractive goal is completed, buffs the player’s complement of minion cards. The Rogue class has posed a significant problem for Hearthstone’s developers, given its innate nature as a combo-oriented, fragile archetype–a position which stands on the knife’s edge of broken efficacy and abject badness. But because of this Quest’s power, there is currently only a single ladder-viable Rogue decklist, forcing other decks (which can’t compete with or complement the Quest) out of play. What this means for the current shape of Hearthstone is exactly the aforementioned–the barrier for entry to Standard competitive play is expensive and frustrating. It’s highly unlikely for the average player to enter into the Year of the Mammoth with a full complement of updated decks, despite Blizzard’s efforts. This makes one thing readily apparent: Hearthstone, once free-to-play, is now more pay-to-win than it ever has been. While the Standard format opens Hearthstone up to a maintenance of power level and increased design space for fresh cards, it presents a similar problem as the format rotation in Magic–that is, one of value. It’s perfectly possible to play Hearthstone without spending money, but to play it competitively, particularly at the beginning of a fresh season, Hearthstone almost necessitates a $50 buy-in pre-order of 50 “Journey” packs. The rate at which Blizzard has chosen to drip-feed free content to the player is simply too protracted. Where it’s easy to grandfather a new player into Magic with extra cardboard, the lack of intra-player trading in the exclusively digital Hearthstone presents another obstacle, encouraging spending. When considering the economics of Hearthstone or any other collectible card game (CCG), it’s important to consider the balance between free-to-play offerings and premium content. 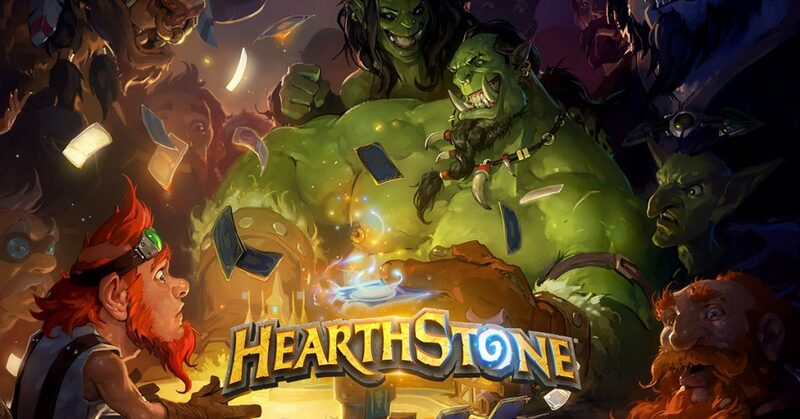 Hearthstone is free-to-play, in a rhetorical sense, given you can earn packs of cards purely through the currency gained by completing daily challenges and winning matches. However, this is a trickle compared to the rate at which Hearthstone’s contemporaries dole out in-game currency. Both successors Duelyst and Gwent present systems where the daily challenges pay in more currency, more easily; both games also require fewer resources to craft the same rarities of card as Hearthstone. While Hearthstone learns its important lessons from Magic, it’s evident that Gwent and Duelyst subsequently do the same with Hearthstone–both mechanically and fiscally. There exists a holy logic of design, across all comers, which is infrequently challenged. Where, via the genetic language of Richard Garfield, an X-cost creature card is allowed to have Y power and Z toughness, so too are CCGs slave to Magic’s conceptions of pay-in-versus-reward. There’s a direct lineage between each entry in the CCG genre, with Magic’s 23 years of design DNA being inextricably woven into the fabric of Hearthstone, and consequently its offspring. While it would be easy to conclude that card games are expensive by nature, the slackening of payout restrictions with Gwent and Duelyst is promising. Duelyst is a fascinating iteration on the Magic-to-Hearthstone bloodline. At first blush, Duelyst bears a striking resemblance to both–from the templating of cards, the language of rules and interactions, to the structure of packs and rarities. 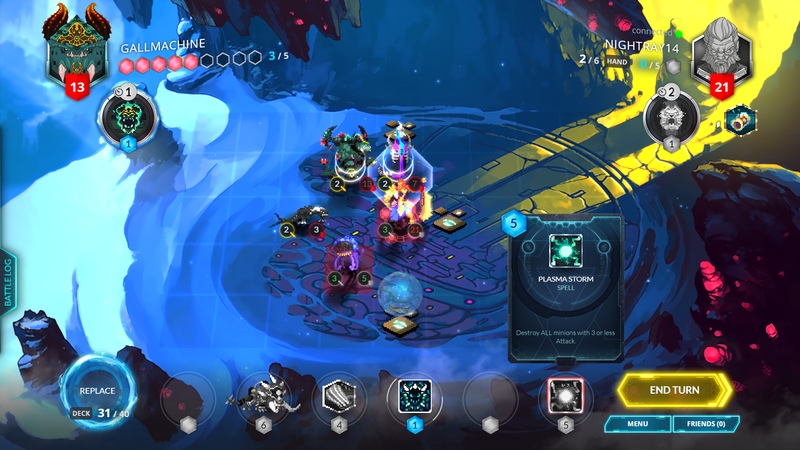 The thing that makes Duelyst unique, however, is that it presents the gameboard as a tactics game, akin to a simplified Fire Emblem or Heroes of Might and Magic. Where conflict between players in Magic occurs across the table, and Hearthstone visualizes that as a pitched arena, Duelyst further expresses this conflict with the player as a mobile, personified card, themselves. Much like Gwent’s focus on the resource economy of hand management, Duelyst doubles down on strategy by privileging both tactical positioning and card sequencing. The end-game of this iteration seems clear; despite Duelyst’s clear heritage in Magic and Hearthstone, it is conceptually hedging into its own, separate genre. This suggests a future of games which leverage CCG concepts and language to produce increasingly unique styles of gameplay. 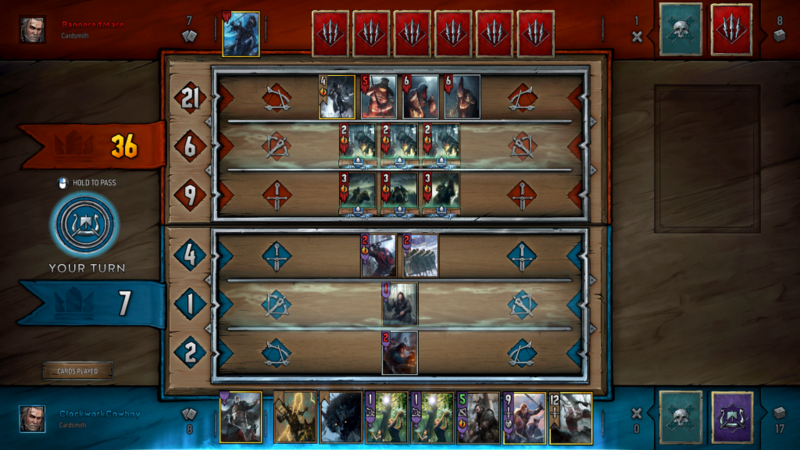 Gwent presents the same interesting questions of interconnectedness as Hearthstone, in terms of adapting lore. Where Duelyst is set in developer Counterplay Games’ unique universe, functionally undefined in scope or character, Gwent adapts the Witcher universe, both CD Projekt RED’s games, as well as Andrzej Sapkowski’s original novels. The Witcher, despite all of its admittedly great depth, possesses a finite stable of characters from which Gwent can continue to draw cards–a limit that the game is already seeming to approach, as it nears the end of its closed beta. Where Magic, Hearthstone, and even Duelyst have subsisted on the maintenance of player engagement through regular content expansions, Gwent begs the question: How willing is CD Projekt RED to push the envelope on ‘relevant’ Witcher characters and settings? This question is particularly pertinent when the CCG model so specifically relies on the consistent release of further cards. With the relatively recent release of the Nilfgaard faction, rounding out the majority of The Witcher’s nations, the only release-worthy faction remaining unexplored is the pastoral, Arthurian duchy of Toussaint–hardly grounds for a wealth of fresh content. This, in a card game that debuted as a minigame featured in another stand-alone project, The Witcher 3: Wild Hunt. The ur-logic of the Magic lineage suggests a necessity of new content, but Gwent currently flies in the face of that concept. Perhaps its restraint should be applauded, when the standard formats of both Magic and Hearthstone require multiple expansion releases a year. But the point remains that while Gwent is a fantastic new iteration, and I love it dearly, it begs the question: Does Gwent, in its modesty, have the sheer sticking power of other CCGs? We may get that answer if and when Gwent enters Open Beta later this year. It’s just a beta, folks. “Journey to Un’Goro” has had an uneven launch, for sure. On one hand, the overall quality of cards is very high, and on the other, the format is prohibitive, both in expense and power. With a long enough timeline, these problems are self-adjusting, but the fact remains that Hearthstone still hasn’t hit its golden stride. At the very least, while this is the case, there are some excellent alternatives.